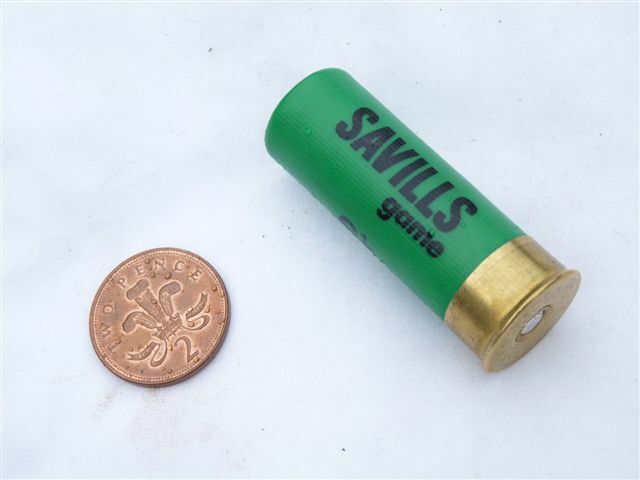 This is a completely inert and totally safe 12 bore, or 12 gauge as they say across the Atlantic, shotgun cartridge. Plastic case in green with black lettering. Complete your collectable pump-action or side-by-side, or fill out a bandolier with a set of authentic looking cartridges. 100% legal to own. Also available in black, blue, red and orange. 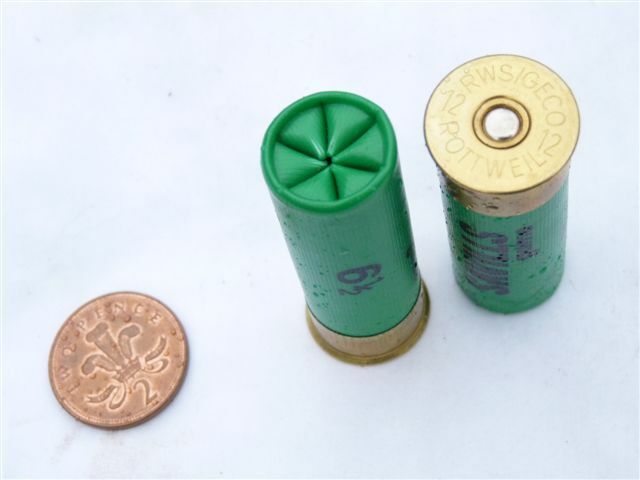 These inerts have un-struck primers, that have been oil-soaked to neutralise, and they still contain their shot, so they look and feel completely real like 'unused' ammunition, but are empty of any explosive material. I can normally provide any number of matched cartridges. Vintage waxed paper cartridges are also available at £2.50 each in red. Please note! Orders for more than 2 cartridges will have the postage adjusted on request.